After the Easter Road debacle, Andy McLaren, Grant Johnson and Robbie Winters were dropped from the starting line-up. Into their places came Paddy Connolly, Gary Bollan with Jim Mclnally being recalled to the side for the first time since the visit to Pittodrie and his presence was a major factor in a much improved performance. 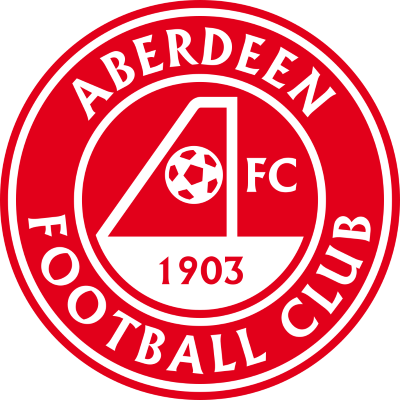 Usually, meetings of the New Firm have a bearing on the top of the table rather than the bottom, but in this instance both clubs needed the points and by the end United had greater grounds of complaint at having to settle for a point than the Dons. It took the tangerines only a minute to pose their first threat when David Hannah's back header from a corner taken by Maurice Malpas was tipped over the bar by Theo Snelders. The opening five minutes were full of action. Grant swerved one past the post from 20 yards and then McKimmie ran on to a McKinnon cross, but could do no better than head straight into Kelham O'Hanlon's arms. Thereafter both sides found it harder to generate openings from a congested midfield, though had Shearer got a touch when Kane hammered the ball across the face of the goal, then United wouldn't still have been on level terms at the break. Both sides had chances immediately prior to the interval. Paddy Connolly saw his shot blocked and Billy Dodds skied the ball over from a good position. As at the start of the match, the second period opened brightly with Miller driving a shot over and then Snelders was twice called into action. He was at full stretch to hold a Maurice Malpas shot and then tipped over a Craig Brewster header . An error by Gary Bollan allowed Grant to get clear, but the United defender recovered in time to retrieve the situation. 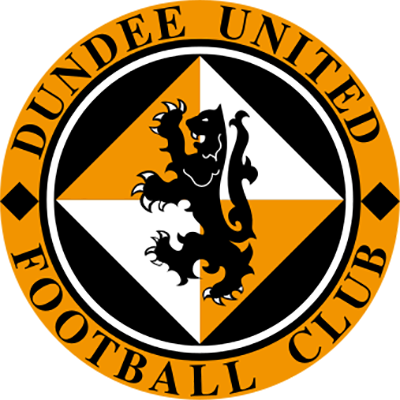 United moved straight up the park and only a finger-tip save by Snelders kept out Jim Mclnally's shot after he had wriggled clear of the Dons defence. Kelham O'Hanlon made a fine stop from Dodds with 17 minutes remaining and grant and Jerren Nixon both squandered similar scoring opportunities before Christian Dailly missed one final opening just before the final whistle which meant it ended all square. First of all I'd like to wish all of you a very Happy New Year. New Year is traditionally a time for looking back and there is no doubt that the Scottish Cup apart, we could have done better. 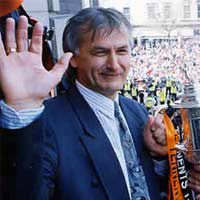 There is no doubt that we had problems with injuries and suspensions at the start of the season, but I after winning the Scottish Cup, I looked forward to improving upon our league form of the previous season. The burden of having seven players missing as the new campaign got under way proved just too big a hurdle to surmount. 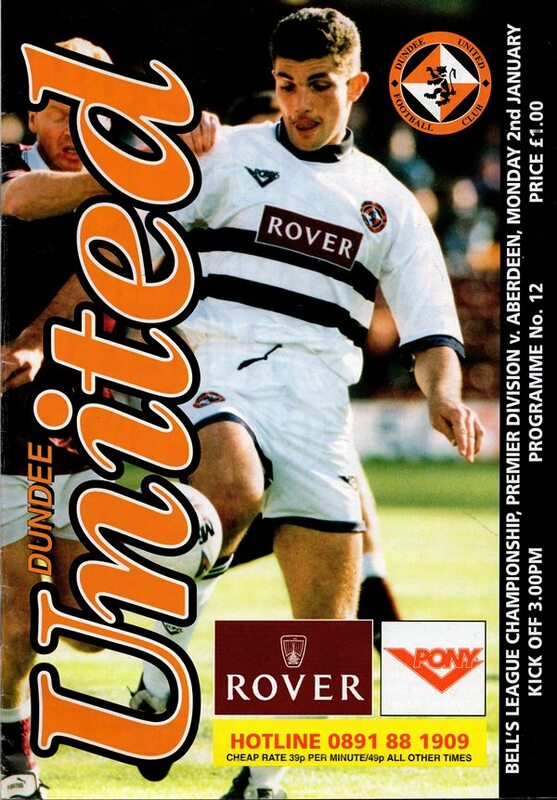 It would have been the same for bigger and wealthier clubs than Dundee United, but on a positive note at least we are ending the 1994 in better shape playing wise. Paddy Connolly returned to first team action against Partizan Belgrade and with Scott Crabbe poised to return, we are far better off for strikers than we have been at any time over the past ten months. Another disappointment has also been our recent frustration in failing to add some fresh faces to the staff, but I am still working to add to the squad. However, we must be prudent when buying as it is harder for us than for those clubs who have much greater financial clout. But, it is the inconsistency in results which has really been the major problem all year. November was undoubtedly the highlight of the year as we remained unbeaten and chalked up fine wins over Hearts and Falkirk. And this only served to heighten the feeling of frustration as we played some good football, but we just don't do that often enough, yet I know that we are capable of it. The key to that good spell was being able to field a settled side and due to one reason or another, that is a luxury which has been unavailable alt too often during the year. This was obviously written prior to Saturday's match at Easter Road, but hopefully, we can continue the run which had seen us lose just once in the last six games. Having said that, the inconsistency which has plagued as all season was again in evidence in the meeting with Kilmarnock. We lost two goals you'd expect a team of kids to lose, but fought back welt to take the lead, albeit against ten men, only to take our foot off the pedal and allow a fighting Kilmarnock side to leave with a point. On the plus side, young Robbie Winters showed what a great prospect he is, combining well up front with Craig Brewster. Robbie has good ability and pace and capped his first start with a spectacularly executed goal. Paddy Connolly, too was back in the frame versues Kilmarnock and almost snatched a winner for us in the very last minute. So, already the greater options we require are falling into place as we prepare to avenge the 3-0 defeat Aberdeen inflicted upon us back in October.